The athletic foundation for most modern sport horse breeds, and in particular the foundation of the modern Thoroughbred. Meet the Akhal-Tekes of Swan Farm! These friends came home to us from Virgina, Texas, Idaho, and the San Juan Islands. At Swan Farm, we love, breed, train, and seek to preserve the rare and ancient Akhal-Teke, the original athletic horse, living remnant of the legendary Golden Horses of ancient Greek and Persian history. 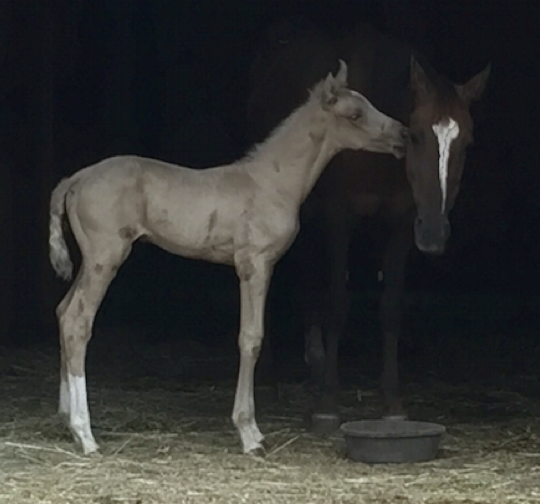 Outstanding 2018 purebred colt Swan Altyn Kamat. And looking forward, we expect four new purebred Akhal-Teke foals in 2019, from May through August.